What Role Does Family Play in Spanish Speaking Societies? Before you begin working your way to foreign language fluency, it helps to understand the culture behind the language you’re learning. After all, language exists to help a group of people express their ideas and beliefs. Spain is an old country with a rich history and culture. 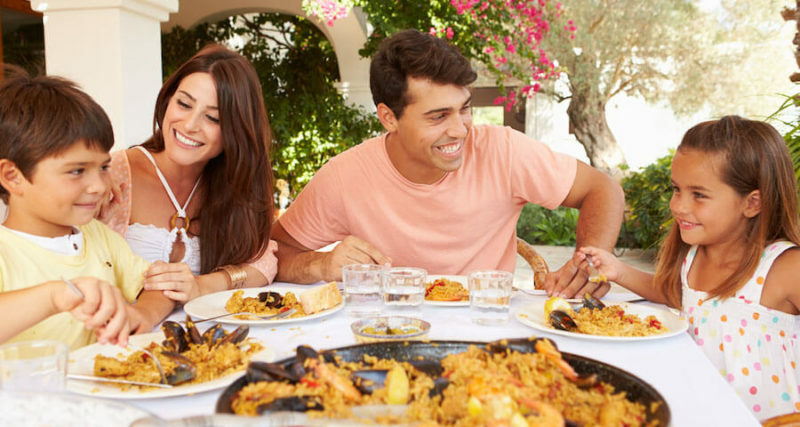 As you begin your Spanish language program, gaining a strong grasp on this history, the values, and the etiquette will help you rapidly achieve success. In particular, Spanish speaking nations value family, cherishing the close relationship with children often living at home well into adulthood. While Latin America and Spain are known for their men, at the heart of each family, it is a mother or a grandmother who is holding everything together. Things are changing over the years, but in most of the regions, the women oversee most of the activities in a home, including cooking, childcare, and cleaning. This is irrespective of the fact that some women have full time jobs. The family budget might also be managed by a woman. This includes paying family bills, shopping, and organizing family events. This is a culture that spans back generations. The tradition was established because most fathers had to work away from their families for long periods, coming home only on special occasions. Their dedication to Our Lady of Guadalupe, a symbol they also refer to as Holy Mother, is an indication of the way they revere mothers and women figures in the country. People in America might make jokes about their mothers, most of which might feel like insults to a Spaniards and Latin Americans. In cities, men have started to take charge of the bills and shopping. Even then, the woman still has a place in the family to help the husband and the children. The men in Spain and Latin America have been left to oversee the entire family affairs and ensure that the family stays together. While women are the face of the families, men are the unseen leader, keeping the families together. In Latin American culture, it is not unusual to find grandparents or aunts and uncles taking care of children. This practice happens in cases of poverty or absence of parents because of things such as divorce, death, multiple families, or even negligence. Latin Americans always strive to find a solution for such cases within the family before resorting to outside avenues like agencies that take care of the needs of children. Mothers who need to work and have children usually leave them with their grandparents, who are typical present at home. Well-off mothers may employ nannies to take care of the children and the house or send the children to nurseries and pick them when they get back from their places of work until the child is school age. In cases where mothers are poor and have nobody to take care of their children, mothers must carry their children to work, which are mainly in the informal sector. Mothers with children strapped on their backs, selling food items and hawking on the streets and buses is not a rare sight in Latin America. In extreme cases, family breakups and poverty lead children to start living dangerous lives on the streets. Children may get into drugs, robbery, prostitution, and numerous other activities that stem from the desperation of not having stable families. However, in Spain, the Spanish government has set up mechanisms to provide solutions for street children. The family is a big part of the lives of Latin Americans and Spaniards. Large families used to be common and had a strong mother figure. However, this changed recently probably due to economic dynamics, but the ties with extended families persist. Several generations of a family often live under one roof, within walking distances of each other. Old family members are respected a lot and get taken care of around the rest of the family rather than being sent to retirement homes. Children take part in social gatherings from an early age. Birthday parties usually involve extended families and happen in large spaces with the traditional piñata in place to treat the children with candy. Being family events, people of all ages get to enjoy such gatherings. The frequent interaction with adults helps children develop confidence and enhances the transition to adulthood. Unlike most Western cultures, Latin American and Spanish children do not leave their home when they become adults. They stay with their families and may move out only if they start their own families or get work outside. Though economic dynamics is a major reason for doing this, people also live with family because it is easier to remain with extended families as long as everybody gets along (mainly young men who cannot take care of themselves regarding daily chores). Staying home is also critical to maintaining friendships and family ties, which are essential aspects of Latin American and Spanish cultures.